Engaging real estate investors in ongoing business relationships can help you create a steady stream of income without incurring the marketing costs typically associated with the customer acquisition. Why? Because successful investors tend to buy and sell multiple properties over the course of a year – and will often work with the same real estate professional on every one of those deals. Now that prices are rising, investors are retreating, but remain an important subset of customer for most real estate professionals. Here’s how to get your share, according to Wendy Forsythe, executive vice president/head of global operations at Carrington Real Estate Services. Learn the Language. Investors speak an entirely different dialect than the average homebuyer. They discuss things like cap rates, cash-on-cash returns and net present value. You don’t need to be an expert on these terms in order to work with investors, but you should be conversant. Investopedia.com is an easy-to-use website with plain English definitions and explanations of all sorts of investor lingo. Be an insider. There are hundreds of real estate investor groups across the country. Most of these groups welcome real estate professionals as members. Joining one of these groups is a great way to find prospective clients, and to learn what investors in your area are looking for. You can find local groups on websites such as REIclub.com and NationalIREIA.com or by simply doing a Google search. The website BiggerPockets.com also has useful information for agents who want to work with investors. Understand the Objectives. What is your client’s investment strategy? Buy, fix, or flip? Buy at wholesale and sell to another investor? Buy, rehab, and rent? And you need to know the investment horizon: Is this a long-term hold with a five-to-seven year profit window, or does the investor need to sell this property before buying the next one? “The more you know about your investor’s objectives, the more useful you can be in tailoring your efforts to help achieve them,” said Forsythe. Do Your Homework. 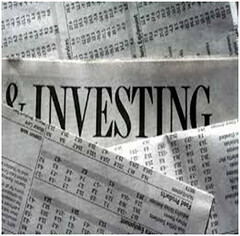 Once you understand the investor’s objectives, your skills as a local market expert come into play. Where are the best rental opportunities? Which neighborhoods are “hot” right now for sales? Where are new jobs being created or new schools being built? Help identify those opportunities, and present properties for your investor to consider purchasing to take advantage of market conditions. Posted on October 25, 2013, in Title and tagged BiggerPockets.com, Bonita Springs Title Company, Cape Coral Title Company, Carrington Real Estate Services, Estero Title Company, Fort Myers Title Company, Investopedia.com, Jennifer Ferri, NationalREIA.com, Property Guiding, REclub.com, SWFL Real Estate, Title Insurance, Title Junction, Title Work, Wendy Forsythe. Bookmark the permalink. Leave a comment.